We Americans judge an idea or principle based on one, primary criteria: does it work? We’re simple pragmatists and something that’s true will also be useful. If it’s true but not practical, it’s hard for us to value it. I was thinking about this recently when I was reading the Sermon on the Mount. To first-century Jewish ears, Christ’s sermon would have been a frustrating puzzle. They’d waited for hundreds of years for their deliverer to come and save them from oppressors. In place of a rebel-rousing, William-Wallace-styled diatribe, the Jews were told that mourning and meekness were dear to God’s heart. There was no call to stand up to the jack-booted thugs of Rome. Instead, they were told to offer their oppressors a second cheek to smack, a second mile to carry their burden, and to make peace with those who had no interest in peace. To add insult to injury, their understanding of religious faith and practice was challenged and re-imagined. I don’t think the beatitudes sit any easier on our ears. In a country based on pursuing personal happiness, and an economy built on self-interest, there’s not a lot that makes sense in this sermon. How are persecution and mourning virtues? We don’t want to be “poor” in anything. . . especially our spirit. In place of allowing Christ’s words to inform our perspective, we jump through weird hoops to make this world-changing soliloquy a list of practical tools enabling us to begin living our best life now. Think about it. How ridiculous do the beatitudes become when turned into your average Christian blog post? 8 Steps to Finding True Joy. When we’re honest, we’re confronted with how impractical much of Jesus’ sermon is. We’re willing to turn the other cheek and love our enemies if believe that it’s a strategy for getting out of them what we want. If non-retaliation and forgiveness will change our enemy’s heart, we’ll give it a shot—for a while. When push comes to shove, we’re forced to acknowledge that the aggressive still antagonize the meek. Taking up your cross and carrying it into your life does not guarantee immediate victory. After all, if you’re carrying your cross, you’re probably on your way to a crucifixion. Jesus did not give us the Sermon on the Mount because it “works” but because it powerfully and dynamically demonstrates the character of God. He communicates this ethic to those who wish to follow God because this is how God is—kind to the ungrateful, violent, and selfish. In this world’s kingdom, God’s economy is irrational and unwise. It’s kind of the point. Disciples of Jesus are not called to behavior that seems practical or effective at securing a good outcome. We are to act on the basis of what’s faithful to the character of God, trusting that however things may appear in the short term, in the long term God is redeeming the world through faithfulness. How is God’s reign visible to the rest of the world? Through the faithfulness of his people. When we choose peace over violence, and forgiveness over retaliation, when we act in the interest of others rather than out of self-interest, then the kingdom of God is visible. When we choose violence, retaliation, and self-interest we’re simply participating in and perpetuating this world’s system even if our reactions seem justified. This is the kind of influence that Christ designed his church to have. We’re not called to develop the influence of political, financial, or celebrity power. The kingdom of God is built on the grassroots influence of individuals submitted to the rule of God and gathered together with a common desire to see his will done on earth as it is in heaven. What if you look at it within the context suggested in “pray for me” by Kenneth Carter Jr? 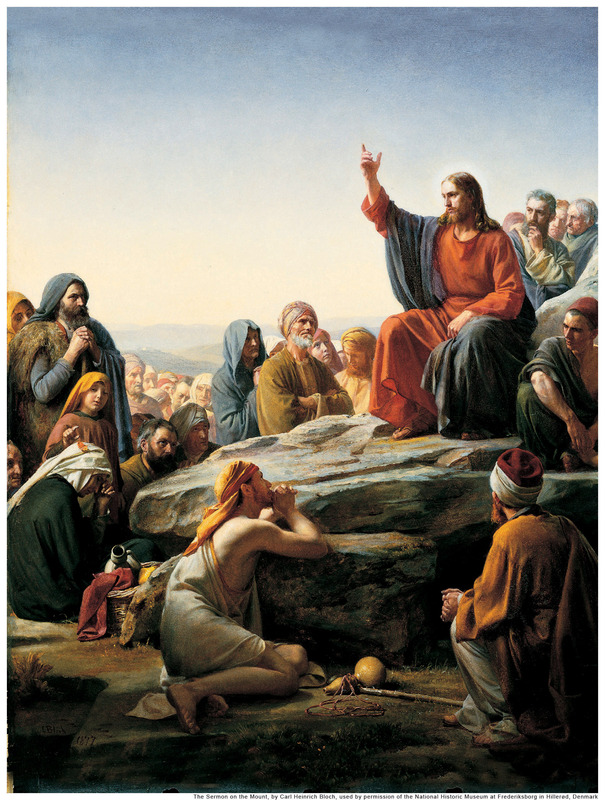 Jesus as the chief exemplar of intercession and the Sermon on the Mount as an extension of his ministry of intercession. Instead of turning the other cheek as a response to what a person has done to us, we are turning the other cheek as an act of ministry and prayer. We are attempting to allow a glimpse of and offering of relationship with the Divine as well as offering a form of intercessory prayer- a physical variant of “Forgive them Father for they know not what they do. You’ve given some good stuff to chew on. I can’t respond fully because I think what I want to say is actually more like a conversation I want to have.